This book wouldn’t exist had Begos not found himself bored in a hotel room in Jordan. 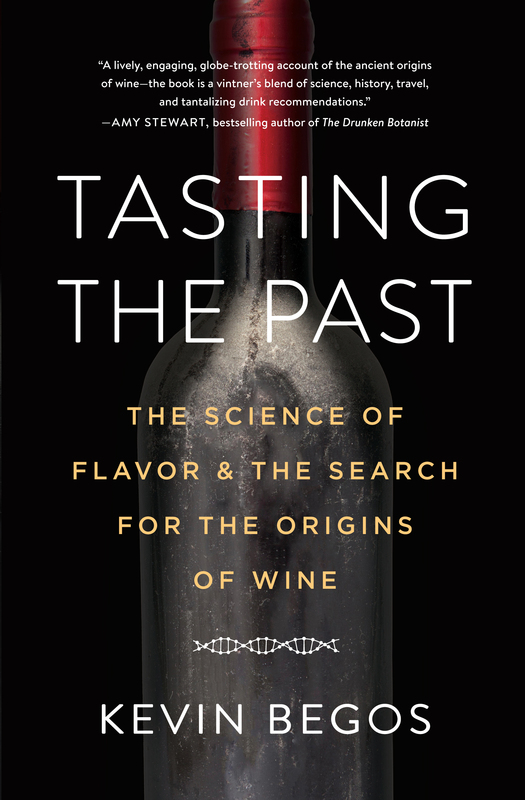 Reaching for a bottle from the minibar, he encountered Cremisan Cellars, and sparked a journey that has culminated in Tasting the Past: The Science of Flavor & the Search for the Origins of Wine. Begos documents his visits to some of the oldest wine sites in Europe and the Middle East, searching for (but as you’d expect, not conclusively finding) the origins of wine. Along the way he encounters experts, scientists, and passionate winemakers who, each in their own way, are seeking to discover and experience wine in its most ancient forms. A former MIT Knight Science Journalism fellow, Begos does an excellent job striking a balance between travel writing, history, and science—the science, thankfully, isn’t too heavy handed. What I admire most, however, is his relentless curiosity. Begos could not shake his desire to learn more about Cremisan’s unusual grapes (Baladi, Jandali, Hamdani) and to understand why, in a world full of thousands of wine grape varieties, each suited to its particular clime, we have limited ourselves to just a handful. Most of it is market driven, of course, but Begos laments how we’ve “rammed the famous [i.e., French] varieties” into so many unsuitable habitats. A recurring theme in the book is the friction between nature and viniculture: what the vine desires to do and what man makes it do. It’s actually what I found most compelling. For instance, I was surprised to learn (so was Begos, when Swiss grape geneticist Dr. José Vouillamoz told him) that “if you plant the seeds from any grape … the new vine will have different flavors and characteristics.” It seems obvious, until you realize what this actually means, that the varietals familiar to us today have all been propagated through the centuries by cuttings alone. How had I not known this? The modus operandi of modern winemaking is to “lock in the tastes but shut down any evolution,” says Begos. But this desire for vinicultural consistency comes at a price. Because today’s most popular wine grapes exist in a state of arrested evolution, they’re particularly susceptible to pandemic disease (which is what happened during the Irish Potato Famine). Climate change, too, will increasingly come negatively to bear on a world full of vines that have been artificially kept from adapting and evolving. For winegrowers, if Begos’s experts are right, it looks to be a losing battle. The silver lining here is novelty. There exists the possibility for entirely new varietals with new flavors—flavors not merely coaxed out of existing varietals by the next great winemaking process innovation, but flavors born organically of seed and soil. A few winemakers are already on it, says Begos. Tasting the Past is a rallying cry for the obscure grape and for regional particularity. I’m on board with that. There’s a great big world out there beyond the French grape. There are so many great stories and characters contained within Tasting the Past’s 250 or so pages, and Begos’s journalistic style keeps it all moving. I liked, too, that each chapter concludes with information on how to obtain the wines he discusses (although some are unattainable outside of the wineries themselves). Anyone who wants to know what else is out there, beyond even what your local Total Wine can supply, will want to read this book. 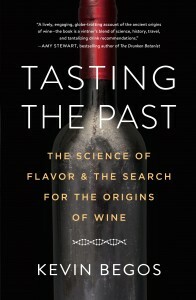 Those with a bent toward wine history, paleobotany, or grape genetics will be especially pleased.